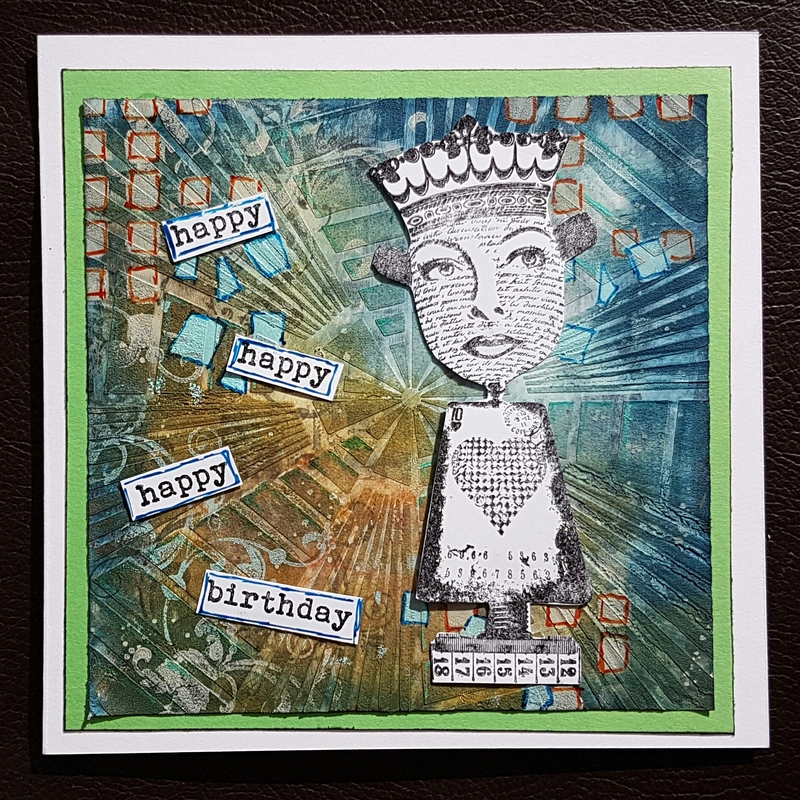 I have a couple more cards to share that I made for the Paperartsy birthday club stash. This time I moved away from the ATC as the topper and instead went for a square piece of dsp which I had gessoed and added texture paste through a stencil. 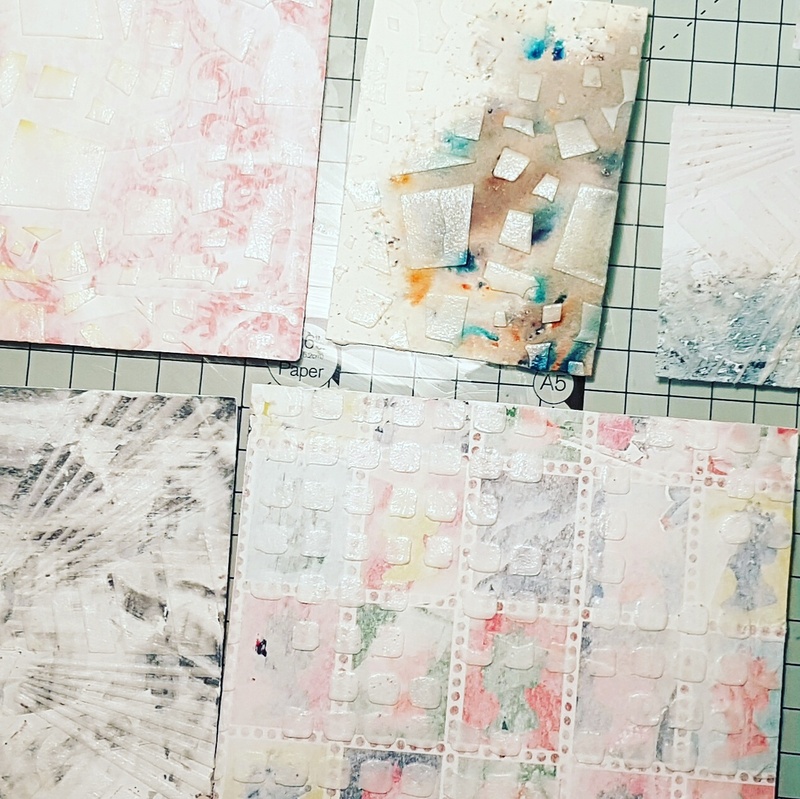 I did a lot at once a few weeks ago to make my life easy as I could just grab and gave something ready to work on! The one I used is the bottom left in this picture. And this is how it ended up. Plenty of paint and ink and stencilling and doodling and finished with the fabulous Hot Picks queen of hearts image. I know by this stage the paper at the bottom is completely unseen but love how this worked and it was dsp I wasn’t using so why not do some more like this…. well funny you say that… check back another day to see how I made the others up that were in the top picture! Entering this into the More Mixed Media anything goes challenge.